Taiwan and Eswatini concluded a six-year US$12.7 million memorandum of understanding on health care improvement in the African nation, according to the Ministry of Foreign Affairs March 13. 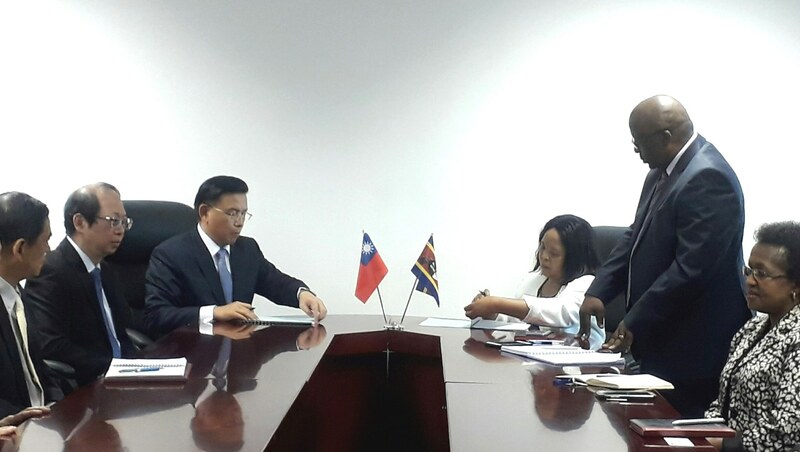 Signed by ROC (Taiwan) Ambassador Jeremy H. S. Liang and Eswatini Minister of Health Lizzy Nkosi in the capital Mbabane, the pact will see Taipei Medical University Hospital cooperate with various partners in enhancing clinic services, staff training and public health research. A highlight of the project, which was initiated by President Tsai Ing-wen during her state visit in April 2018 to the Beautiful Kingdom, involves upgrading the skill sets of nearly 100 doctors from Eswatini trained at Kaohsiung City-based I-Shou University in southern Taiwan. This encompasses a series of tailored professional courses aimed at assisting the medicos better serve the communities in which they operate. Health care cooperation between Taiwan and Eswatini started in 2008 via the Medical Technical Cooperation Agreement. Over the years, the two sides have implemented a variety of large-scale programs, including the two-phase Maternal and Infant Health Care Improvement Project, the soon-to-be-completed Emergency and Intensive Care Unit at Mbabane Government Hospital, and visits by nongovernmental organizations and volunteer groups. According to the MOFA, Taiwan and Eswatini established diplomatic relations in 1968.The countries have carried out numerous collaborative projects in such areas as agriculture, education, information and communication technology, rural electrification and women’s empowerment.